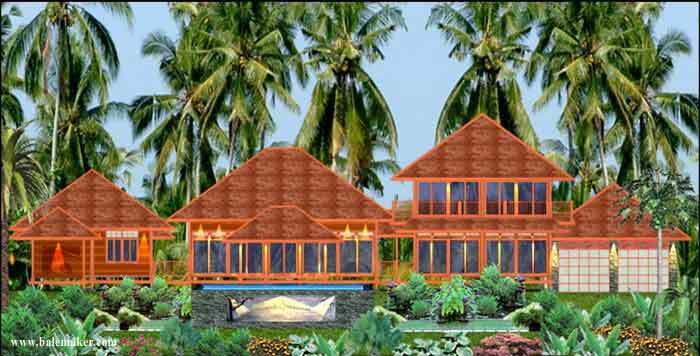 I was searching online for balinese style and tropical style house plans today. When I think of tropical houses, I envision grass thatched roofs. Luckily for me, my search resulted in just what I was envisioning. Both of these house plans caught my eye. 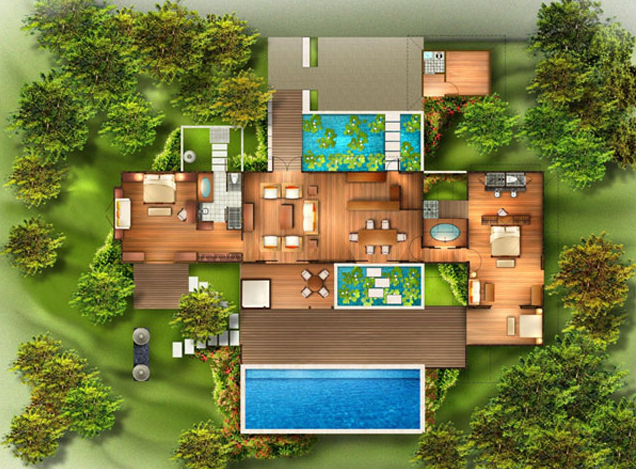 I love the elevations, the separate master suites and, of course, the swimming pools. Pantai Model 1; 2 Bedrooms/2 Bathrooms. Images from Bali Built. 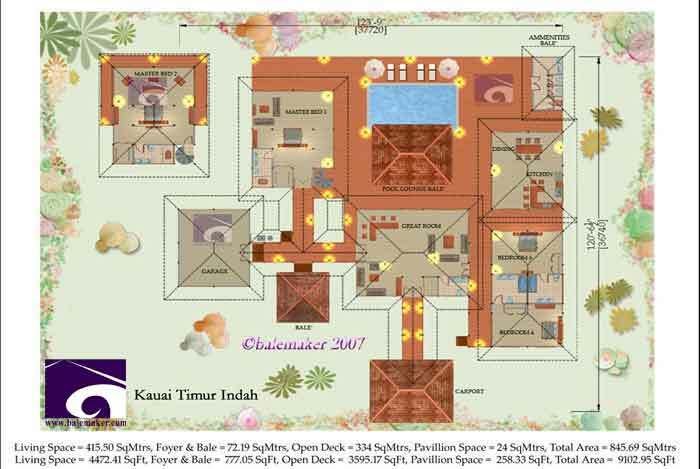 Kauai Timur Indah House Plan. Images from Balemaker. 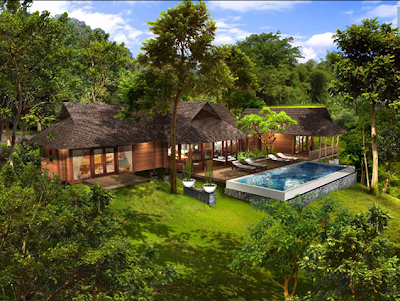 What kind of tropical style house do you like?